The USC Schwarzenegger Institute in partnership with the USC Department of Undergraduate Programs wishes to acknowledge students who are inspirational examples of the power of one person to make a difference and “Be the Change.” Our Spotlight Award features remarkable USC students and shares their inspiring story of volunteerism and civic engagement. The USC student's volunteerism and civic engagement can be either on campus or off-campus. The “Be the Change” Spotlight Award winners will receive a $1,000 cash prize, a certificate of achievement and recognition at a spring awards ceremony. Additionally, the Schwarzenegger Institute will make a $1,000 contribution to the charity or cause represented by the awardee. 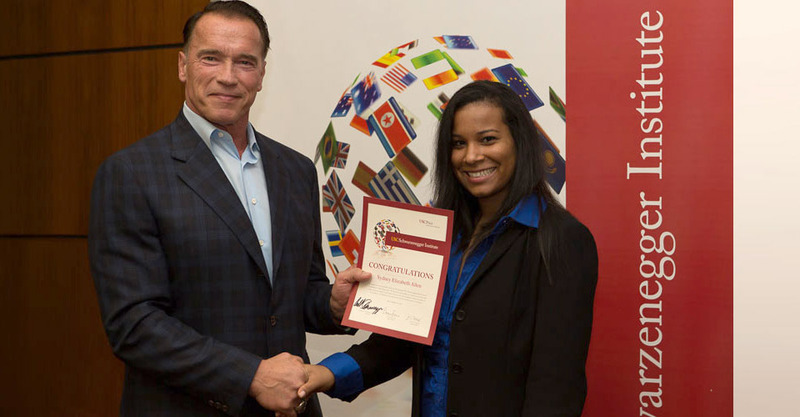 The Schwarzenegger Institute is looking for students who have excelled in the area of volunteerism. While we will consider nominees volunteering within the USC community we very much want to praise volunteer work done beyond the borders of campus. An undergraduate USC student can nominate him/herself by filing out the nomination form AND supplying a recommendation letter from a person who has experienced or witnessed the philanthropic dedication and passion of the nominee. Anyone can nominate an undergraduate USC student they believe deserves the award by filing out the nomination form The nomination process requires the submission of a 500-word personal statement addressing the nominee’s volunteer efforts. If these efforts are made as part of a larger organizational effort be sure to clearly explain the nominees individual contribution. 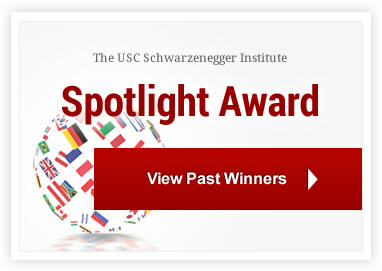 To nominate an undergraduate USC student for the "spotlight award" complete the nomination form. We look forward to receiving great nominations. We will proudly shine spotlights on inspiring USC students who are living examples of how to "Be the Change" in today's world.